Dr. Priestley reviewing a patients exam findings. Your second visit is where you receive Dr. Priestley’s report of findings. The doctor will let you know if he can help you and if we can accept you as a practice member. If you came to our office for a Wellness program, he will outline a course of action to maximize your health and wellness. If you came in for a specific condition, he will let you know what is wrong, why it is wrong, what it will take to support or fix the problem, how long it will take, what it will cost and finally he will giver you different options for you to best determine how you would like to proceed. 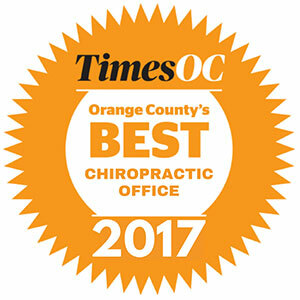 This is the most important visit you will ever have in our office as it is when you will learn about your health status and decide how we can best help you. On this visit there is a wealth of information that we will share with you so we strongly advise you to bring your spouse, a family member or friend to help support you at time when you will be making all important decisions about your health, your schedule and your finances. Immediately following the report of findings we will start your care. Allow 30 to 45 minutes for this visit. 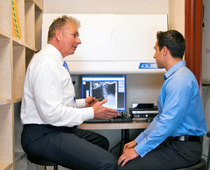 Find out what happens on a regular visit to Priestley Family Chiropractic.